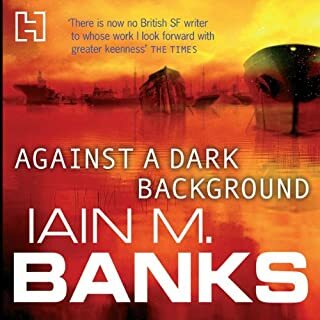 Another great book from Iain M Banks. 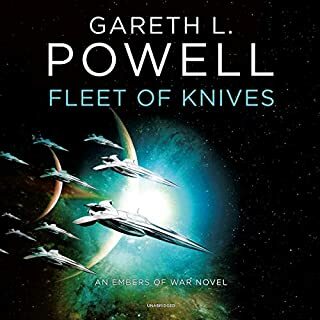 I'd already read this as a physical book, but I'd forgotten the title - I decided that I should just listen again anyway and I was really glad I did. 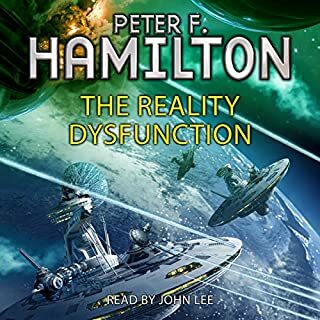 Once you've read it once, then the second time you listen to it in a completely different way - I highly recommend leaving it a few years after the first listen and then listening to it again. 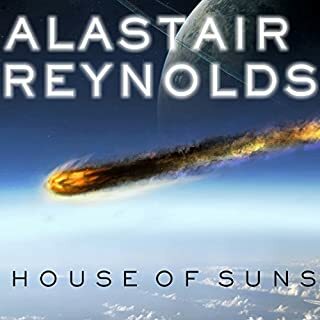 Anyway, it's pretty much impossible to say anything without spoiling it for others with this book so all I'll say is that it's up there with the best of the Iain M Banks books for me. 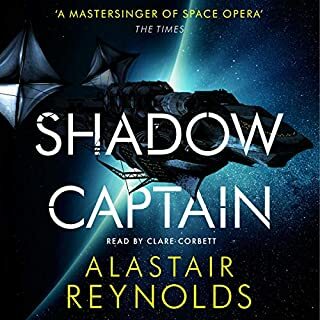 Great narration too - this is one of my favourite narrators. I made a list of them after a while so I'd be able to search based on narrator and not just author - I reckon it's that important - plus great narrators don't tend to do terrible books. I also really like Scott Brick who read Dune (amazing), Toby Longworth who read Iain M Banks - Matter, Samuel West who read The Day of the Triffids (amazing), Sean Barrett who read The Left Hand of God (really really good), and my favourite of the lot is Anton Lesser who read the Algebraist, which I didn't really enjoy - although I think I need to just try again with it and do it all over a few days and not try and do anything else at the same time. 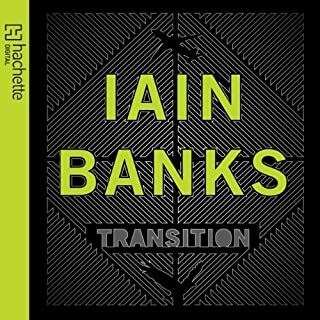 Iain M Banks & Peter Kenny... brilliant! One of my favourite authors and a top class voice actor, you cant get much better in my opinion! The ending is a sucker-punch! No spoilers but I didn't see it coming until the last chapter. WOW! Seriously, another great book with stunning vision from the author and a great read from the narrator! I found the novel's construction to be quite difficult to follow. 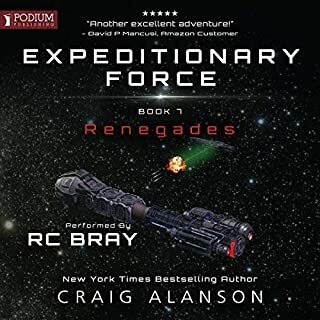 Other IMB audio-books I've gobbled in 2-3 days but this one took best part of a month. Worth the effort though and will be high on my revisit list. The later IMB books are stunners and this is a fair taste of the madness to come. Enjoy Use of Weapons folks. This is probably the only review I will ever write. I felt violated after finishing the book but surprised to find I enjoyed the feeling. I am not compelled to listen to it again but I will say the story must be experienced by everyone at least once. The performance is superb and grounds the plot as you literally shot around the Universe. But always drawn back to the centre. There you may find the ultimate weapon of the Culture but will it be used? 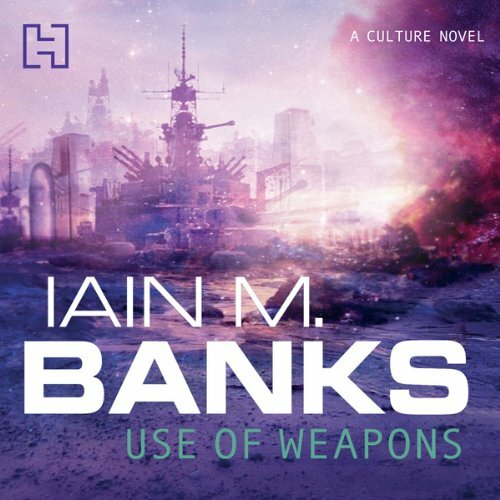 Bank's Culture Series is without equal and Use of Weapons is arguably his best. 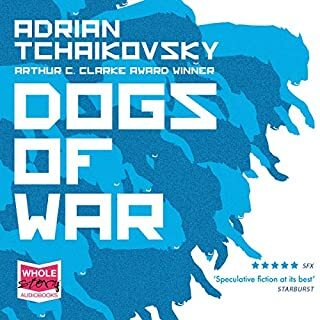 I originally read Use Of Weapons over a decade ago and thoroughly enjoyed it. listening to the book being narrated by Peter Kenny was great. 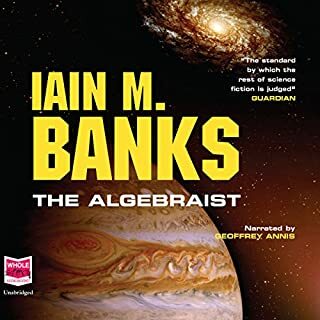 Banks is the greatest sci fi writer in my opinion. This isn't his best book but it's still well worth listening to. 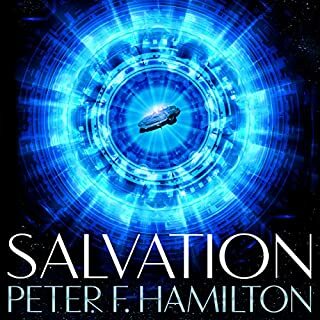 Peter Kenny is an excellent narrator. narrator was brilliant. story was confusing at times but ive come to expect that from Banks. everything wraps up perfectly in the end. recommended!! This is my third Culture novel and the best so far. Each one I listen to, I think, this one won't be as good as the last, but they just keep getting better. Great format to use the two strands of the same story being told together, with one being told backwards. You have to stay sharp or you'll get lost, but it's well worth it. 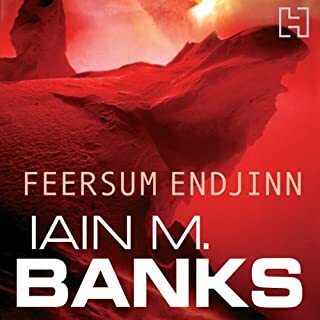 Iaian M. Banks writes (what I would call) philosophical science fiction. He uses his stories to raise important ethical questions and to comment on the political establishment of the day. ?? ?Use of Weapons??? is no exception. When listening to the story it might help asking yourself ?? ?What is the weapon(s) used in the story and by whom???? 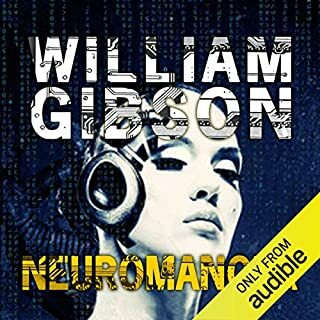 When Special Circumstances a division of Contact, the (machine-humanoid symbiotic) Culture?? ?s ?? ?Intelligence Agency??? uses the man, Cheradenine Zakalwe, as an agent to do its dirty work, it eventually has to come to terms with his past. Banks hereby raises the question of superpowers using unknown front figureheads and groups to do their dirty bidding in ensuring that the world is shaped according to their will. What happens if this fa? ?ade cracks? The story is complexly structured. There are two numbering systems in the book, a story going from chapter to chapter in chronological order and a numeral system which consists of back flashes seemingly arranged in a reverse chronological order. The numeral chapters give the listener hints an a little bit of insight into the person and being of Cheradenine Zakalwe. When the current time and the past collides the puzzle suddenly fits and the ???aha??? moment arrives. This makes the book in my opinion outstanding. I found that while the story that moved from chapter to chapter was straightforward, the numeral chapters kept you guessing. I enjoyed the way the numeral chapters were written; each one could be a short story on its own. 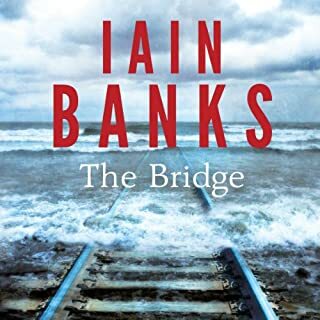 Banks makes the listener a sleuth, encouraging you to puzzle out the story before he tells you the secret at the most crucial point in the story. He definitely caught me unaware. I think this is where the brilliance of this novel lies in, the surprise. Peter Kenny, by now synonymous with the reading of Iaian M. Banks??? 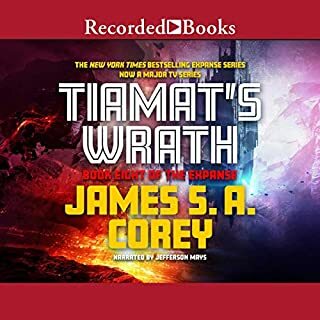 audio books does an excellent job. Be warned, it is not an easy book to listen too at first, but is you persevere you will find the gold at the end of the rainbow. It took me a few times of rewinding and listening again to some chapters, but I am really glad I did it. ?? ?Use of Weapons??? is the third Culture novel after ?? ?Consider Phlebas??? and ?? ?The Player of Games.??? I propose that you listen at least to ?? 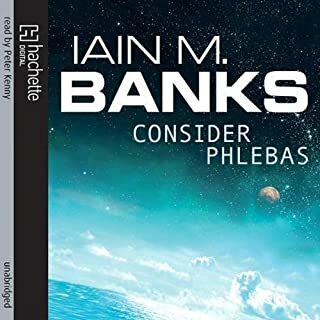 ?Consider Phlebas??? first, just to get the feel for Bank?? 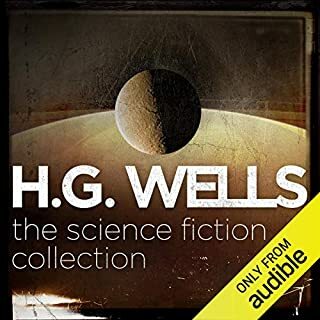 ?s science fiction universe. 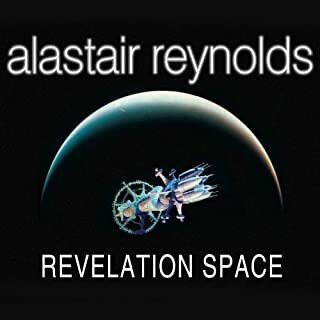 However it is not a must, you might probably enjoy this story just as much without listening/ reading his other books. I know the structure of it is rather unusual, but to me it was just confusing and not a plus. Great fun at times but overall a disappointment. 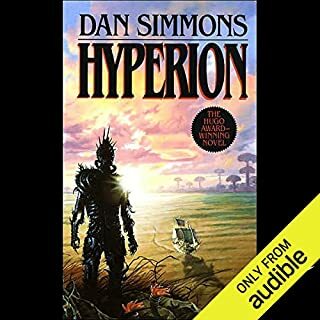 By far the weakest of the Culture Series; I've currently finished the first six books of the series. Nope! Does not work as an audible book. The structure of this book does not work at all with the two intersecting story lines. But I could not keep clear in what story line I was on. And within the storylines it jumps a lot. It kind of pays off in the end but not really. Maybe read this one.